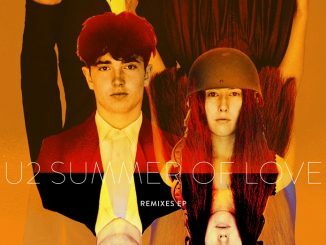 Beck has reunited with U2 to remix another track from the band’s international #1 album, Songs of Experience (Interscope). This time, current single “Love Is Bigger Than Anything In Its Way” gets the Beck remix treatment, as the GRAMMY Album of the Year winning musician pulls from his palette of sonic colours to emphasize the organic foundations underpinning its soaring harmonies. “Love Is Bigger Than Anything In Its Way” comes from the critically acclaimed, Songs Of Experience, called “Their best album in years” by USA Today and “a remarkable accomplishment for a band in its fifth decade of existence” by Variety. 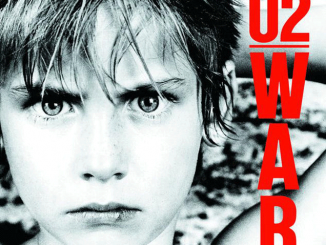 Beck previously collaborated with U2 on an exclusive remix of “Lights of Home (Free Yourself/Beck Remix),” released to mark Record Store Day earlier this year. Prior to the release of his critically acclaimed Colors (Capitol), Beck supported U2 on the final U.S. leg of last year’s #1 grossing tour, The Joshua Tree Tour 2017. 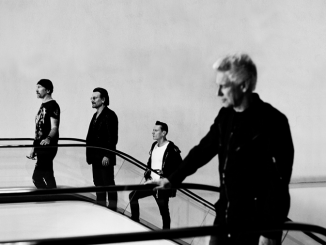 U2 is currently in the midst of the groundbreaking eXPERIENCE + iNNOCENCE Tour, whose May 2nd debut in Tulsa, OK moved Rolling Stone to rave “after this incredible opening night almost anything feels possible.” During the tour’s swing through Nashville, U2 became the first act in the history of Jack White’s Third Man Records to record a single directly to acetate: a stripped-down acoustic version of “Love Is Bigger Than Anything in Its Way,” to be released by Third Man Records on limited edition vinyl. Details to be announced soon.